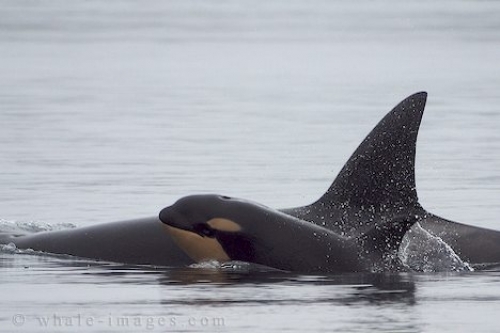 This little transient killer whale was just a few days old when I took these baby pictures. When orca whales are born their white patches are actually orange. As this baby pictures showing, a killer whale can swim within 30 minutes of its birth and by a few days old is partly able to keep up with the rest of the pod.